Call, write or fill out the form below. Tell me where my nearest dealer is. Send me information on the new Power Access door opener Model 2300 as seen on Extreme Makeover. We have an "Open Door Policy" with all of our customers, dealers and potential customers, too. 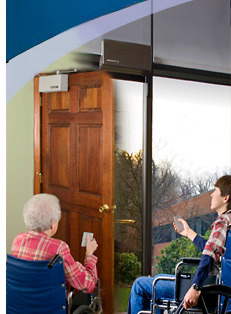 If you have a Power Access door opener, we'd like to know how you like it, and how old it is.